The following organizations support the HCC via our Bikes Mean Business program. 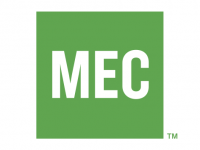 MEC Halifax is a great supporter of cycling in the HRM. In past years MEC provided the HCC with financial support for cycling events/public lecture, community bike maintenance clinics and group social rides, as well as MEC products, such as bike lights, for cycling promotion at events. MEC is also a huge contributor to HRM’s Bike Week, providing staff, funding, and other support for events such as the Bicycle Expo at the Oval each June. MEC also supports HCC’s annual I LIGHT HFX that gives away 400 sets of lights to communities in need throughout HRM. MEC offers HCC members several benefits, including a 10% discount on Bike Shop services and 10% discount on purchases during HCC Club Nights. Finally, you can also purchase HCC memberships at MEC Halifax. Crombie REIT is a gold sponsor of HCC. They have continued to be champions of a healthy workplace for their employees. Crombie REIT’s exceptional bike room is complete with racks, showers, iron, changing rooms, lockers, and a TV, winning them the title of “Most Bicycle-friendly Landlord” for three consecutive years. Crombie REIT also offers a lunch and learn series with HCC for their employees. 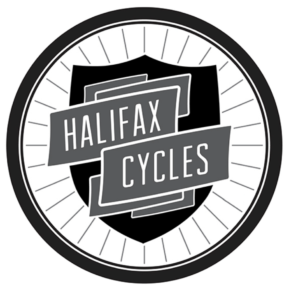 Halifax Cycles is a silver sponsor of the HCC. The local bike shop supports the HCC through selling memberships, sponsoring the Bike Awards with a city bicycle, and offering a 5%-15% discount for members. Halifax Cycles was also a founding partner in the hugely successful Intro to Urban Cycling Workshops offered by HCC. Cyclesmith is a silver sponsor of the HCC. Throughout the year they contribute in-kind services to various HCC initiatives such as the Bikes for Refugees campaign. Cyclesmith holds HCC Club Nights where discounts are offered on some products, and they are a member of our tire repair program. A number of Halifax Businesses are also supporting our members through HCC Member Benefits program.